About a decade ago I fell in love with a chap, he was a bit of wimp, cuddly, cute, always ready for adventure and loved having his tummy tickled. His four big fat paws, oversized tongue, bandy legs and big unruly top knot made him something of a character to look at but to me he was the most beautiful, most amazing boy I’d ever met. His name is Thai – you might have seen him mentioned in my previous posts as ThunderPad or Mr Awesome or Naughty Thai – and now, much, much too soon he has died. I remember the first time I met Thai in person, it was when I visited the GingaNinja in Cornwall where he lived – he was all puppy like – because he was a puppy, he was naughty but only in the way that youthful exuberance makes you naughty and he had personality – the kind that reminded you of the best in people. I’d never been a dad to anyone but I soon became his daddy and we ran endlessly around the Cornish town of Bude in long beachy strolls and jumping in the sea together. It was a heavenly beginning and it never stopped being that way. Our decade together seems too short, he epitomised my belief that life was there for living and Thai lived it with all four of his oversized paws on the pedal! His adventures and his misadventures were many and varied and there are too many to write about here but he travelled with us to Cambodia, landing in Thailand during the middle of a civil war gun battle at Bangkok Airport – but he took this in his stride, doing nothing more than having a giant poo in the car park before we high tailed it out of there. He survived the cruddy six months in quarantine (coming out looking like a fat tub of lard). He was a mini wizard at agility and completed half marathons with me as his slo-mo companion (and of course there were numerous muddy training miles). Perhaps his greatest achievement in life though was giving heart back to this grumpy middle aged man because in Thai there was no malice, no anger and his love and compassion for the humans he cared for was immense. My home feels very empty this morning, it misses his wandering about, his giant head, his thundering pads and oversized tongue bobbling about the house announcing his arrival long before you’ve seen him. It’s not just the house that feels empty though – I do too. He was the biggest and the best friend I’ll ever have and the little sod has had me crying near non-stop for the last week. As he died I held him around his middle, feeling the final beats of his heart and the final breathes of his lungs, it was the most peaceful of endings for a hound of such energy and when he passed away at 8.06pm, 5th February 2018 I said good journey to the best of all puppies. Thai you will never, ever be forgotten. See you around, my best Spuddy. 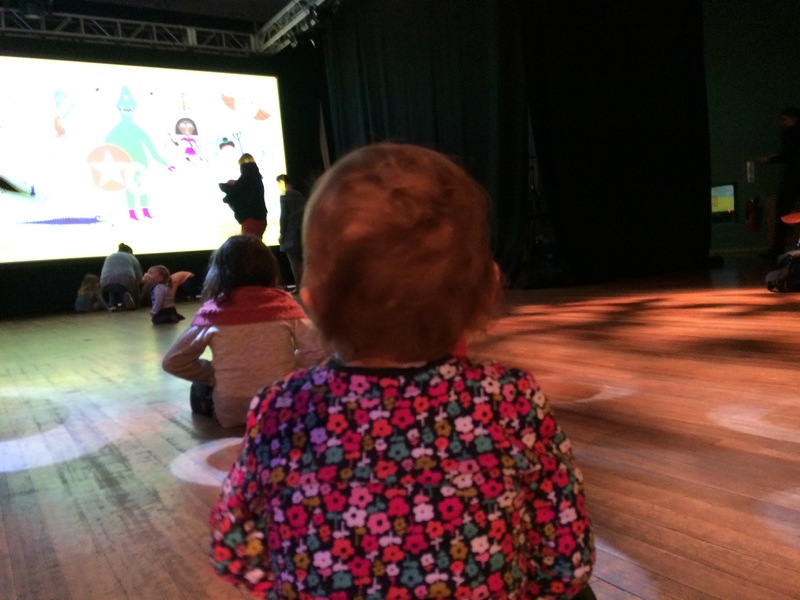 Periodically I write about the adventures of my daughter (aka UltraBaby/ASK) and I, this blog post will update regularly and provide links to the tall tales that formed those adventures because we don’t just run… we just mainly run. 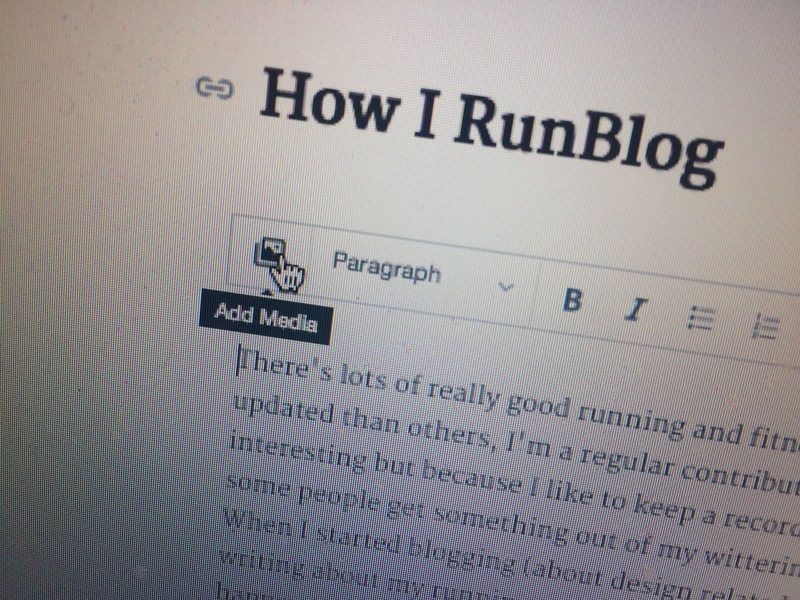 There’s lots of really good running and fitness blogs out there, some more regularly updated than others, I’m a regular contributor to blogging not because I’m particularly interesting but because I like to keep a record of the things I’ve done and I believe at least some people get something out of my wittering. Everyone will have their own way of doing it, their own things to say – I can’t tell you how or what to do but I can tell you how I go about it. Below are they key stages I go through to bring a blog piece to life. Hopefully you’ll find something useful here. Read lots: While I have ideas for blog posts that simply pop into my head I also draw on my environment, I read lots of blogs, newspapers, news reports, advertising, social media postings, business reports, research (and not just about health and fitness – that would be quite limiting). This quality research and inspiration time is the foundation of good blogging. Adventure lots: You’ve got to have something to write about and the best way I believe to have something to write about is to go and do things. So in the last few months I’ve written about Haria Extreme, adventures in ice skating, Lanzarote theme parks, running in the Arctic Circle, trespassing on to the airfield at the Isle of Skye and a whole host of other stuff. Brainstorm ideas: You’ve done loads of research, you’ve had groovy adventures, you’ve sat down to write about something and it just won’t come. Jot a few ideas down in a list, on some paper, on your computer, watch some TV, listen to music, relax, let all the things you’ve seen and done roll round in your head and a title will come. Join in social media (Twitter/Instagram/Facebook/Reddit) conversations: Social media isn’t for everyone but amongst the crap there are little gems of ideas, conversations, arguments, very real people discussing serious and silly topics that might give rise to new posts to inspire you or might give you a thought for a post you can bend to your own experience. Twitter I find especially useful for insight into how individuals look at a topic even when expressed over 140 characters. Interacting in these conversations also allows you a mouthpiece to express opinions as well as get them which in turn can have the effect of supporting the building of a readership. It’s not rocket science – you’re engaging in community and the community might want to hear what you have to say. Photograph your adventures: Nothing offsets a great blog piece better than a quality or narrative enhancing photograph. I very rarely add professional photographs to my site but then in my role as a graphic designer I do quite a lot of photography so I like to think that some of that experience translates. However, the acquisition of an action camera (GoPro Hero 4) and the use of my iPhone 5S have meant that I’m pretty much able to capture all the run and race photographs I ever need and they simply help me improve the telling of my tales. Note down a list of working blog titles: As part of my working process whenever a new blog topic comes to mind and I’m happy with it I note it down and then add it to my working list to be expanded on and developed later. This can be anything from being inspired by a tangent in a post I’m writing, a post from someone else that I’m reading or something I’ve seen or heard. Know where you are headed and understand the value of a structure: Try and know roughly where you are headed with a post otherwise it will ramble and be less coherent. It’s okay for posts to be long just ensure they have a structure and narrative that lead to a satisfying conclusion. Be Interesting, be passionate: One of the hardest things to do is to believe that your life is of interest to anyone else. But everyone, no matter who they are does and witnesses interesting things. When you write, when I write, I try and look at the finer detail to bring out interest. For example in a recent post I could have written ‘I had 5km of pain and then found a bush to take a poo behind’ instead I looked at the detail of being ‘bent double in agony’ ‘stabbed by the protruding thorns of the bare bush I was cowering behind’. Adding colour and texture, while remaining true means your readers can join you on your adventures, even if they are about poo. Find your most creative time: The only time I write is when I’m on the train, I’ll occasionally do backend blog maintenance at home but mostly it’s all done on my phone in the 50 minute (plus delays) train ride I have (usually the morning commute). Blogging requires me time and RunBlogging requires quite a lot of me time given that you’ve got to do the time on your feet too. I understand we all have busy lives but you may find that by writing something like this it allows you to blow off steam. Blogging shouldn’t be a distraction from the things you feel you just do but it giving it half an hour a couple of times a week is what I call ‘me time’. Try not to care who reads it: If you’re writing as a way of getting Salomon to notice you so they’ll send you free kit then this blog post probably won’t be of any interest to you (and it’s quite hard I believe to get the big boys to be sending you kit). I tend to think you should write honestly about real experience and (much like a race) leave nothing out. This way not only do give an honest account of who you are but you’re audience will enjoy it all the more – yes you may never be as popular as Usain Bolt but does that matter? write for yourself and an audience will find you. The writing of a blog post normally takes me between 45 and 90 minutes or two commutes. The pictures will already be on my phone and I will have already worked out the structure of the posting before I start. I still require inspiration to start and that may be an incident in the days leading up to an event or it might be a conversation had with someone or it might even be my thoughts as I’m holding my medal for the first time. Then it usually just flows from there. Tell people: the bit I hate is telling people about my blog posts, I still to some degree assume nobody wants to read what I write, this years ‘hits’ suggest otherwise though and so each blog post goes out to Twitter, Instagram and Facebook (although I think I only know a dozen people of FB so I can’t remember why I bother!). If I’ve posted late at night I might tweet a reminder in the morning so that those interested might see it and I’ll add relevant hashtags but ultimately that’s all I do. I write for me and if someone else is interested then I’m deeply honoured and humbled. You might find more interesting ways of telling people about your site such as in forums and adding it to communities such as The Running Bug but you’ll decide how far and wide you want to branch it out. ZooooZoooooZoo! This is the noise, the noise of a lightsaber, that I hear when I think of my favourite movie. Yes, I aware it’s a cliche but Star Wars for me was a defining film, I saw myself as a Luke Skywalker, the kid with nothing except a bit of talent and a lot of rage. However, I’m sure you’ll be glad to read that I’m not going to review a 40 year old movie – no I’m going to be looking at a documentary I saw just a week ago and I’ve been processing ever since. Not since I last watched Flash Gordon have I seen a piece of film so full of classy quotes …. I think most people would be better off with more pain in their lives, honestly.I think that, if nothing else, they would appreciate the pain-free times more. Anyway The Barkley Marathons: The Race that Eats its Young (to give the film its full title) perhaps needs a little explaining to those who might simply stumble across this blog. The Barkley is a race, a running race (of sorts), an ultra marathon in deepest Tennessee, an ultra marathon of approximately (or exactly, depending on who you ask) 100 miles, in five loops and it’s 30 year history has had only 17 finishes. Sounds hideous? Not your cup of tea? Let me explain why you should give up 90 minutes of your life to this story and discover ‘a new hope’ and why ‘The Barkley Marathons’ has more in common with Star Wars than you might at first glance think. The documentary unfolds across the 2012 event with some history from creator Lazarus Lake. The documentary charts more than the history though, it looks at the infamous entry system, the runners who have involved themselves over the years and of course we are witness to some of the more exotic names of the challenges encountered – the ‘testicle spectacle’ and ‘rat jaw’ amongst them. It’s a race that brings together the most eclectic group of runners you could imagine with names as fitting as could be Wouter, Brett, Jared, John, Ed and you imagine there have a been a few people could Buzz or Lance along the way too. It’s no secret that the failure or RTC rate is sky high and perhaps this is where it is most at it’s Star Wars like best – it’s a rag tag motley crew of the most dedicated taking on an evil Tennessee empire with Lazarus cast as a slightly more benevolent Death Vadar. The trouble is that there isn’t always a Luke Skywalker who can bullseye the Death Star reactor and complete the five loops. The documentary is filled with amazingly honest interviews, pained moments and genuine distress but at each turn you are willing on the runners to go that bit further – you want them to succeed. In many ways you want them to succeed because this is one of those great everyman challenges – like climbing Everest or scaling El Capitain. With the right training, tenacity and hard work these things become achievable but then you get there and you realise that while every man could attempt these brilliant challenges not every man will succeed and the Barkley explains in no uncertain terms that it really is the journey and not the finish that matter. Something I believe in wholeheartedly. There was this focus when growing up to be conservative when it comes to your future and have some good plan for retirement and then travel and see the world and do all this fun stuff when you retire. I was really good about that but then, uh… Yeah, so kind of like in one year I had a series of a few deaths in the family and then I was in a relationship for 10 years and that ended so it was like all this crap just all happened to me in one calendar year. It was awful. I was in a really bad place. One of the deaths in this case involved was my father, who has done just what he told me and saved all of this money for him and my mom to travel the world and he passed away one year before his retirement. That’s when I realized you’ve gotta live. You’ve gotta live your life. The documentary is a tour de force of the positivity of the human condition. I would urge you all to watch it and hopefully find something in it. But what did you find UltraBoy? Ah well that’s easy – I found a new focus, I’d like an attempt at this race and as I approach 40 I realise I’ve been working my way up towards it – taking on harder races, more mountainous races, riskier races, races with a greater chance of failure. I was never going to be content returning to races year in year out that I knew I could do. So why do I want to do The Barkley? Easy. Because it’s there. Conclusion This is a brilliantly filmed documentary and feels like a piece of classic ongoing American history. The filmmakers appear to have taken pride in producing a piece about human beings will and determination under the guise of a race. It’s a documentary with heart and you’d do well to watch it whether you’re a runner or not. 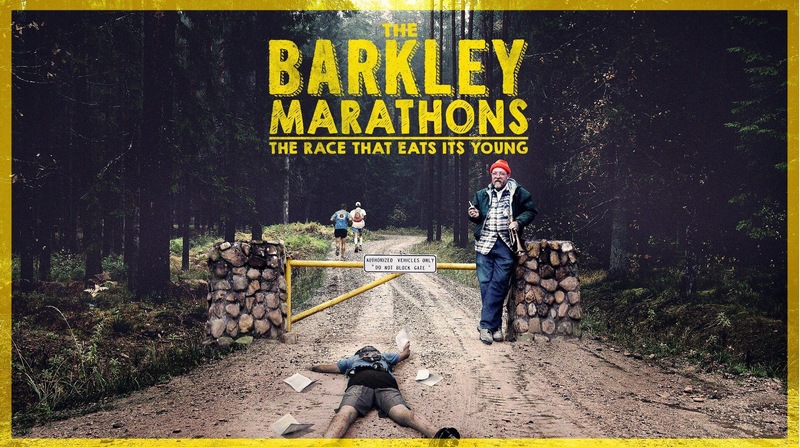 The Barkley Marathons: The Race That Eats Its Young directed by Annika Iltis and Timothy Kane is currently available in the UK on Netflix but for a more beautiful experience you can purchase the DVD/Blu-ray here.